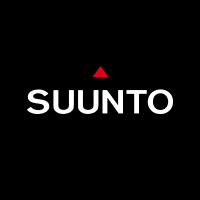 Suunto watches have been on my wrist since I began guiding and backcountry skiing in the late 90's. They have tirelessly worked through the best of times and worst of times from Alaska to Antarctica. I have grown to rely and love my Suunto watches on more adventures than I can count, so I happily endorse their products whenever possible. Alpenglow Sports is located in Tahoe City California and I'm pleased to be included on their team as an Ambassador. Alpenglow is the spot on the west shore to gear up for your Sierra adventure. Stop by for equipment, info, and top-notch service. Clif Bar has generously helped me not only with nutritious food over the years, but has also gone the extra mile and helped out with various fundraisers and workshops I’ve organized. I think their commitment to the community, athletes, and environment is outstanding. I am proud to work as a K2 ambassador. I use their skis for resort skiing as well as big mountain expeditions. Whether Alpine touring or Telemark skiing I’m on a K2 ski. Julbo is the company I go to for sunglasses and goggles. They consistently provide me with the product I need to work and play. Dynafit boots and bindings have been my choice for Alpine Touring. They are super solid and incredibly light. I tell friends and clients "Don't try them unless you are ready to buy them..."
Mountain Hardwear has provided me with some key items over the years. For personal and professional use, as well as fundraising efforts. From tents, to sleeping bags, to all sorts of apparel, I’m often very fortunate to have a piece of MH gear on my adventures. Located in Mt. Shasta CA, the 5th season is the place for my clients to get outfitted for their climbs. The quality and range of gear is exceptional, as well as the service. I highly recommend you stop by when in Mt. Shasta.